The tortuous canyon country of southeastern Utah conceals thousands of archaeological sites, ancient homes of the ancestors of today’s Southwest Indian peoples. Late in the nineteenth century, adventurous cowboy-archaeologists made the first forays into the canyons in search of the material remains of these prehistoric cultures. Rancher Richard Wetherill (best known as the “discoverer” of Mesa Verde’s Cliff Palace) and his brothers; entrepreneurs Charles McLoyd and Charles Cary Graham; and numerous other adventurers, scholars, preachers, and businessmen mounted expeditions into the area now known as Grand Gulch. With varying degrees of scientific rigor, they mapped and dug the canyon’s rich archaeological sites, removing large numbers of artifacts and burial goods to exhibit or sell back home-whether “home” was Durango, Chicago, New York, or Helsinki. During a trip in the winter of 1893-94, Richard Wetherill unearthed convincing proof that a previously unrecognized group of people had lived in Grand Gulch before the so-called Anasazi, or Cliff Dwellers. Wetherill named these people the “Basket Makers” and inaugurated a new era of understanding of the region’s prehistoric past. Almost one hundred years later, the modern-day adventure that became known as the Wetherill-Grand Gulch Research Project began. Intrigued by the poorly documented history of the Gulch, a group of avocational archaeologists launched a grassroots effort to recover that history and locate the many artifacts that had been extracted from southeastern Utah’s arid soil. The Gulch, they found, contained its own invaluable clues in the form of dated signatures left on canyon walls by the Wetherills and others as they made their way from site to site. An effort to track the original explorers in the Gulch ultimately led the team to Chicago’s Field Museum and the American Museum of Natural History in New York. 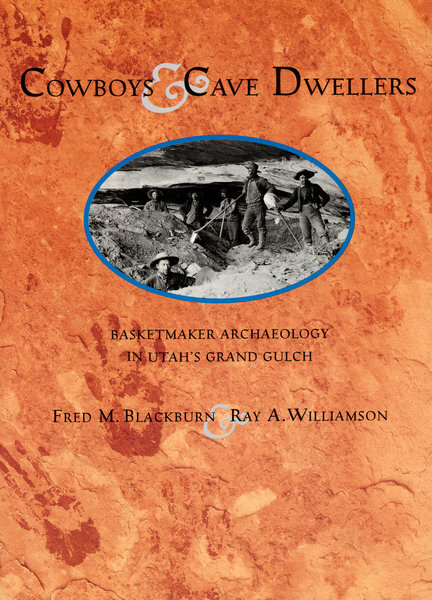 In this book, Fred M. Blackburn and Ray A. Williamson tell the two intertwined stories of the early archaeological expeditions into Grand Gulch and the Wetherill-Grand Gulch Research Project. In the process, they describe what we now know about Basketmaker culture and present a stirring plea for the preservation of our nation’s priceless archaeological heritage. Lavishly illustrated with color and black-and-white photographs.